You may not be aware, but Time Warner Cable got rid of their analog TV channels that were hogging huge amounts of network bandwidth (FINALLY!) and is bringing faster Internet speeds to Dallas with what they're branding "TWC Maxx." Some areas already have it, and Lake Highlands is coming Real Soon Now™. I've never paid for blazing fast speeds, and have been happily plugging along with their standard 15Mbps service since they upgraded their standard service from 10Mbps to 15Mbps. In August (I'm told), my speed is going to jump to 50Mbps for the same price, and up to 300Mbps for those interested in paying for it . The current top end is 100Mbps. That's a significant jump. The standard speed will be faster than AT&T offers with their VDSL2 "Uverse Max Turbo" service, which isn't even offered at my address. At my address, the FASTEST service AT&T offers is a 18Mbps, so TWC is clearly the best option already, and it's about to get better. So, that's great and wonderful, and now you know. And that's not really why I decided to write this. The real reason is to point out that if you're renting your cable modem, you're flushing money down the toilet, and probably have mediocre hardware to boot. I know, I know, you really don't spend any time at all thinking about this little blinky box, right? Nobody really wants to think about this thing. Maybe just a little thought is needed every 3-4 years, and this might be the time. First off: you don't have to rent your cable modem. Many people simply don't know that. You can buy your own (there is an approved list of modems and an allowed list of modems) and call TWC and they will pair it with your account. Several years ago I stopped renting. The modem I bought supports speeds to 100Mbps, or 6.67 times what I'm currently using. I think I was paying $6/month and calculated that it would take me a year to break even on my $70 purchase. About a year later they raised the fee to $8/month. Basically it's a fee that they have just been ratcheting up because people ignore it. Yikes, this is a no-brainer, right? OK, so money is the obvious reason you shouldn't rent, but there's more to it than that. You may be thinking "If I rent from TWC, they'll always make sure my hardware is up to date." In case you didn't notice, TWC is a cable company, and they are going to give you the minimum amount of service they think they can get away with to keep you as a customer. As such, if your modem works, and you're not paying for a speed tier that requires it, you're not going to get upgraded unless you go out of your way to push their buttons. "So what!?" you say. Let's say you have a 2009 model, discontinued but still supported Motorola SB6120. I'm not sure that TWC ever rented these out, but let's go with this. This modem is DOCSIS 3.0, on the approved list, and they will provision it for speeds up to 50Mbps. Unless you pay for >50Mbps, they aren't likely to offer you an upgrade. Why would they when you will happily keep paying them $8 a month? The problem is, this ancient modem is an early DOCSIS 3.0 4 channel modem. The reason this is bad is that fewer channels means a higher probability of one your neighbors' traffic clogging the series of tubes, er channels, between you and your emergency kitten. Basically, fewer channels means it's less likely that you will get your provisioned speed. Additionally, you will possibly be limited in channel selection with all the much older devices sharing the same clogged up channels. Sometimes life will be fine, others life will be bad, and you won't really know why. Not coincidentally, TWC will provision it up to 100Mbps. The odds of having significant problems with channels being busy at 50Mbps or less with this modem are far, far lower than with a 4 channel modem. Even if you are paying for minimum speeds, going to 8 channels will help deliver a better experience. The newest modems that are required for the top tier speeds utilize 16 channels. You really need to pay attention to your router. If it's not being patched with new firmware, you need to replace it. Is this something you really want to trust to your cable company? Beyond that, the combo products include WiFi, which is another problem. First, you may or may not really want your WiFi access point to be in the same location as your modem. My modem is in a closet in the back of my house, and in a less than ideal location for WiFi. Second, if you haven't realized it, WiFi (802.11) is changing relatively rapidly. The current 802.11ac standard is more and more widely deployed. Do you want to tie your WiFi, which you may want to upgrade every 2-3 years with your cable modem, which you can probably keep for the next 5-6 years if you do it right? Also, do you really think TWC cares that much if you're stuck with an older 802.11n device? At an extra $5/month beyond the modem fee? Forever? If your plan is to stay in a 100Mbps or lower tier for the foreseeable future, the 2012 DOCSIS 3.0/ipv6 compliant, 8 channel Arris SB6141 remains a good option. If you look around a little you can find a used or refurbished one cheap, and things should get better as people upgrading to the latest speed tiers sell their old modems. 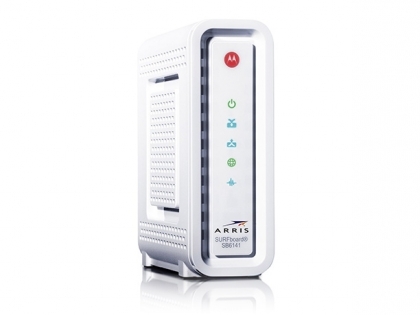 Even new, an Arris SB6141 will pay for itself in less than a year compared to leasing. 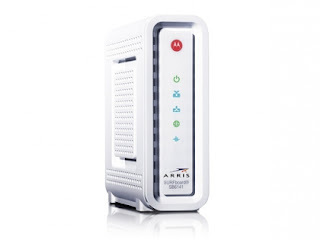 Arris now has a 32 Arris SB6190 modem, which wasn't available when I originally wrote this article. It's not on every cable company compatibility list, but if it's on yours, you might consider splurging ($150 today vs. $95 Arris SB6183) for doubling the channels. TWC doesn't currently offer better speeds with the SB6190, and I'm told that they will only use 16 channels even if you have 32 available. Will they someday? Maybe? It's hard to say, but you may get more consistent speeds if they were to enable spreading traffic over 32 channels instead of 16 and you wereon the top speed tier, but they don't, so I can't recommend spending the extra $55. You may think it's worth it for some reason. In the world of technology there is always something else, and in cable modems it's the DOCSIS 3.1 standard. DOCSIS 3.1 is going to support speeds more than 10X that of DOCSIS 3.0. DOCSIS 3.1 is so new that there's really nothing you can go buy today. Comcast has just started testing it in the field with plans for deployments in 2016, and it's really unclear to me when TWC or others will roll it out. My guess is that by this time next year there will be a good DOCSIS 3.1 retail option, that it will be relatively expensive, and that most people won't have DOCSIS 3.1 on their cable networks. That said, the modems will work with DOCSIS 3.0 networks, so you should start to see these modems making it onto compatibility lists so that you can make an informed decision on what to buy, and you could then buy one and be "future proof" for some time. This same post a year from now would almost certainly say "Invest in a DOCSIS 3.1 modem and don't look back." First off, I got my 50Mbps today, so it's rolled out in my part of 75238. Second, I realized that I can trade in my SB6141 and for a $38 Amazon Gift Card, which eats up almost 1/3 of the cost of the SB6183. That makes the upgrade cycle much easier once you get off the rental treadmill. Informative. Waiting on my faster speeds near Casa Linda. What about router suggestions? That would be very helpful. Thanks!